The Department of Hematology and Oncology at the University Hospital Rechts der Isar Munich offers the full range of diagnostic and therapeutic services in these focuses. A highly qualified team of doctors working in the department provides patients with an effective treatment of all cancers, blood and lymph pathologies (for example, leukemia, multiple myeloma, non-Hodgkin's and Hodgkin's lymphoma) in accordance with the latest international therapeutic standards. The department is headed by Prof. Dr. med. Florian Bassermann. It should be noted that the department is certified by the Comprehensive Cancer Center Munich. The department is fitted out with the state-of-the-art technical equipment, has innovative treatment methods, but also pays key attention to comprehensive consultations and human attitude towards patients. It provides special consultations on nutrition, competent psycho-oncological care. The treatment strategy is developed at the interdisciplinary tumor boards with the participation of hematologists, oncologists, surgeons, radiation therapists, radiologists, specialists in pathological anatomy and nuclear medicine, due to which each patient can receive an optimal treatment plan corresponding to his/her specific clinical case. The main therapeutic options of the department include classical chemotherapy, high-dose chemotherapy, targeted therapy, stem cell transplantation (autologous and allogeneic), multimodal therapy, immunotherapy, radiation therapy, combined chemoradiotherapy, surgical treatments, etc. Prof. Bassermann studied medicine in Ulm, Munich and New York. He received his doctor’s degree at the Technical University of Munich. Prior to becoming a Postdoctoral Fellow at the New York University (2006 - 2009), the doctor began his clinical and scientific activities at the Technical University of Munich. After his return to the Technical University of Munich he has headed the Emmy Noether Junior Research Group (funding from the German Research Foundation). Here he was also recognized as a Medical Specialist in Internal Medicine, Hematology and Oncology, as well as had his habilitation. In 2011, he was appointed a Senior Physician, whereas in 2015 received an invitation to the position of Professor at the Technical University of Munich. 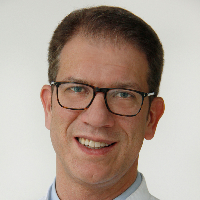 Since November 2017, Prof. Bassermann has been heading the Department of Hematology and Oncology at the University Hospital Rechts der Isar Munich. 2015 Theodor Frerichs Award, German Society of Internal Medicine (DGIM). 2010 Walther Flemming Medal, German Society of Cell Biology (DGZ). 2009 Participation in the Emmy Noether Program of the German Research Foundation.